The IGSCON library is situated on the first floor of the academic wing. It comprises separate reading rooms for students and faculty, a journal section, facilities available for internet and photocopying. The library is equipped with the latest editions of books, journals of national & international publications and all these are concurrently updated. The library is open from 8:30 am to 7:30 pm on all working days. A spacious 100-seater seminar hall and a 250-seater high tech auditorium are the highlights of the educational building. 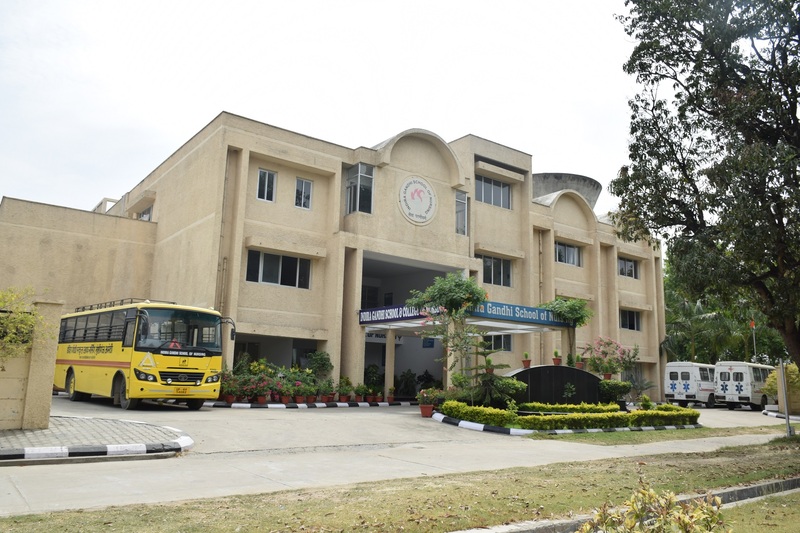 A well-ventilated, spacious building for hostel is available which houses girls in separate sections. Each room is shared by three students. All the rooms are furnished and all 40 washrooms have geysers installed. Neat and tidy environment is provided for washing, drying and ironing clothes. Students have the option of indoor games like Carom board, Chess and outdoor games which can be played in the wide open grounds in front of the hostel building. There is a comfortable room for visitors of the residing students too. IGSCON has an excellent transport cell which caters to the Faculty, staff and students who are transferred from one point to another for clinical posting, attending seminars or workshops in affiliated Hospitals for required experience. IGSCON has two 25-seaters, a 60-seater, a 5-seater and a 7-seater vehicle for facilitating the transfers of students and staff. Closed Circuit Televisions (CCTV) are installed for continuous monitoring, observation, safety and security of students and staff of IGSCON. A well ventilated clean kitchen and a dining hall to accommodate 50-60 students simultaneously is available. A 24-hour water supply with hot water for bathing and RO purified cold water for drinking are available to all students. Round the clock male and female security staff is appointed to ensure the safety of our students.